Dating apps and websites have now become plagued with fake people who are only interested in stringing you along or, even worse, using you for money. It can be hard to know if the person on the other side of the screen is really the person in the profile picture. If you want to stay safe on dating sites, here are a few red flags that might indicate the person you’re talking to isn’t who they say you are or they don’t have good intentions. 1. They only have a few photos on their profile. One of the first red flags you’ll see on a fake profile is a lack of photos. Typically, fake profiles only have a handful of photos. Images with only the person in them could also be another red flag. On dating sites, people can choose to upload several photos of themselves. Usually at least one of these will include a photo with friends or family. If you want to be extra sure the person is real, try and find other social media accounts. You’ll know something is fishy if you can’t find them on Facebook or Instagram. Another warning is if they do have these accounts, but they use the same handful of photos over and over again. That suggests that these are stolen photos. If a profile has any of these characteristics, then you should avoid them. Finally, you should also be wary of profiles with photos of people that look too good to be true. Having someone really attractive show interest in you can feel amazing, but it should make you really suspicious as well. It’s common for people to steal photos from modeling websites or popular social media accounts to trick others on dating sites. Use a tool like Google Reverse Image Search to check where these photos are really coming from. Like with most things in life, if it seems too good to be true, it probably is. 2. They avoid calls and video chat. In any online relationship, there will be a point when you both will decide to move from chatrooms to phones. An indicator that the person you’re talking with isn’t who you think they are is that they will avoid having any phone calls with you and insist on text chats only. You should be suspicious if they start giving excuses as to why they can call you. It is a huge red flag when the other person makes it impossible to have a simple phone conversation. There are instances in which a scammer will have a phone call you with. To make sure the person in the profile is really the person you’re talking to, try and set up a video chat or facetime with them. If the other person continuously avoids getting on video, then it is more than likely they aren’t the person in the photo. 3. They won’t commit to meeting with you. If you’re really hitting it off with the person behind the screen, you’ll probably want to plan a meetup or first date. As much fun as it is to chat with people online, when a relationship gets serious you’ll want to be able to romance them face to face. You’ll know something is up when the person you have a serious online relationship with isn’t willing to meet you in person. You should be suspicious of any individual that plans dates with you but come up with last-minute excuses. It’s understandable if something came up last-minute and they have to take a raincheck once, but if this happens every time you make an appointment to meet up, then you should start questioning if the person is really who they say they are. 4. They’re always in a bind. While some fake profiles only enjoy emotionally manipulating people, there are instances in which fakes will try and scam you of your money. These might be the most dangerous of all. The fake profile will usually share stories about their hardship and ask you to help them out of some kind of bind. If this happens at any point in an online relationship, then you’re probably being scammed. You should never feel pressured to share money with strangers. An online dating site isn’t the best place to go searching for loans or to beg for money, so if the person you’re chatting constantly needs cash then cut off the relationship. It’s more than likely that money was all they wanted from you in the first place. Dating online can be a great experience. 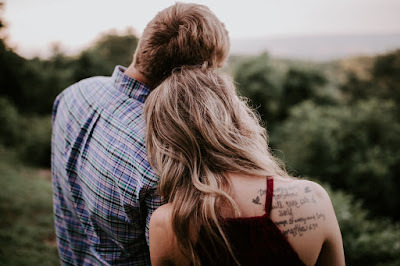 By keeping these points in mind, you’ll be able to find someone to connect with and possibly even fall in love. However, make sure you’re protecting yourself so you don’t end up with your wallet stolen or your heart broken.